At the end of September in Belarus one of the most interesting hunting games begins – woodcock one. Already at the beginnings of September local woodcock of Belarus, both adults with feathering already changed and young almost indistinguishable of adult woodcock by their dimensions, leave thick and enter light forest. There woodcock spends the day and in the twilight leaves from the forest to the open (forest roads, pastures, hayfields, etc.) to fatten. During their active preparation for the migration the woodcock forms accumulations called here “vysypka”. 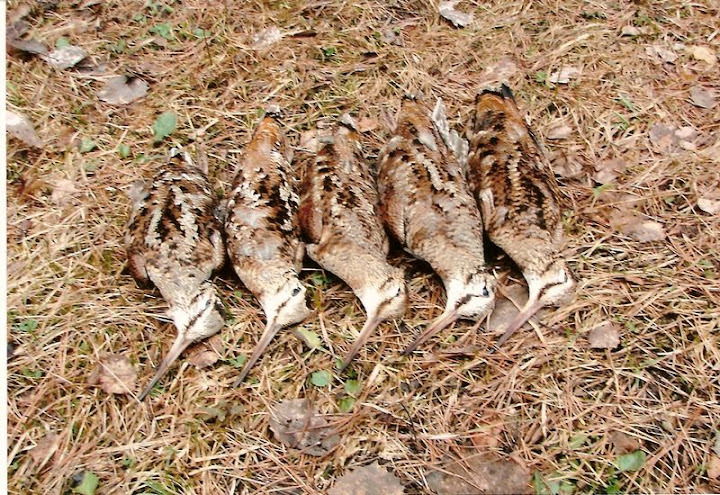 During hunting game when three or more woodcocks are found together it may be already considered as a “vysypka”. They may be day in forest and night in the open, woodcocks a not the same at that, groups structure varies in general due to the migration woodcock. Certainly hunters of Belarus we’re interested in day “vysypka”. In principle it’s possible to spend all the day in woodcock hunting game. A lot of years of observations show that in Belarus “vysypka” begin at the end of September – beginning of October and finish at the end of October. In spite of it’s possible to see woodcock groups when snowing. The apogee of the woodcock migration falls to a period of from 3 of September till 15 of October, being the most “woodcock” week the second one of the October.